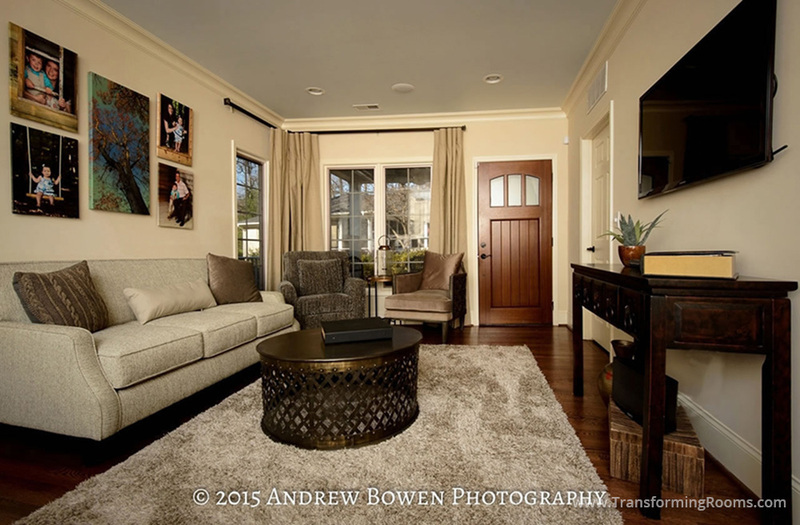 This lobby is now inviting with comfortable furniture and photographs to showcase their work. 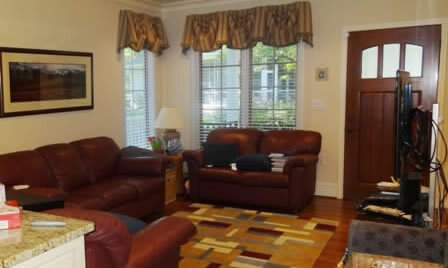 A waiting room for an office needs furniture that conveys the quality of work you provide. Notice the collection of photos so the photographer could showcase his work. Better still, see the changes we made behind the TV, all the wiring is now hidden, and the flat screen is only a half inch from the wall.